I find that when I’m traveling for work, no matter how amazing the destination, I get a bit grumpy in the evening. And maybe a little withdrawn. And antisocial. And homesick for my people. When that happens I tend to wander off to my room, close the door, get ready for bed no matter the time, and hop on my computer. I start to unwind. Decompress. Breathe. I catch up on all the social medias. I chat with my guy. Sometimes I do a little work, but not if I’m frazzled. Tonight is just such a night. It was an awesome day of work and fun team activity wrapped up with a nice meal and a soak in the hot tub while talking with teammates. Not a bad way to spend the day, but tiring none the less. So as I sit here in bed reading twitter, chatting away, and trying to wind down I am still agitated. Upset. Annoyed. Irritated. I glance at the time on my laptop. 10:30pm. It’s 10:30 at night and there are kids down at the pool having a party. A damn pool party! There’s hooting. There’s hollering. There is joy and the joy is loud. I slipped my feet out of bed and dangled a foot over the floor, pausing to feel my toes on the cold hardwood. 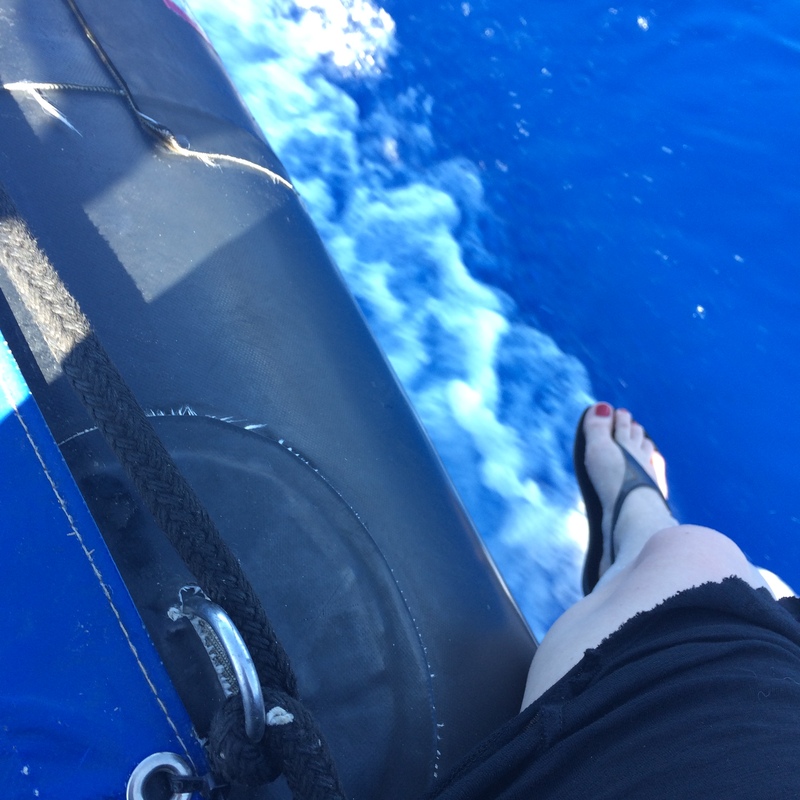 It took me back to my afternoon in a small boat out in the ocean, my foot trailing along, skimming the cool open water as we pushed further out to sea. But I stopped. Because I don’t want to be that person. I’m in Hawaii. A magical place. Everyone should be enjoying themselves. And they are. My need to not be annoyed should not be greater than my compassion. Than my hope that everyone is having a wonderful evening. Also I realized that my computer is still on Portland time and it was only 8:30. So there’s that. all kids need a little yelling at, just on general principle.